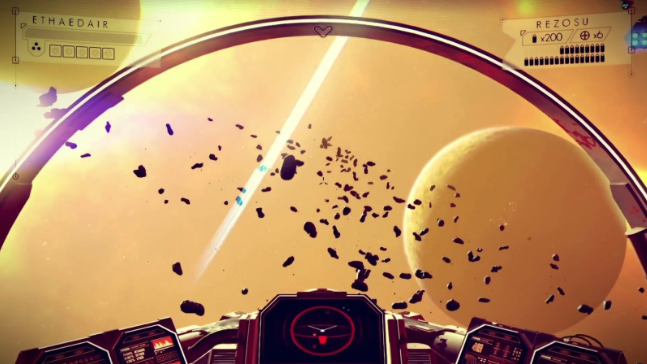 It’s quite the tagline, and thanks to some extremely impressive tech demos and convention appearances it’s little wonder that No Man’s Sky has generated an unprecedented amount of hype over the past year. To put the scale of this thing into perspective: the number of grains of sand on the Earth is estimated to be around seven quintillion. That’s not only beaches — think all the world’s deserts, too. Now double it, and add in a few quintillion more for good measure. 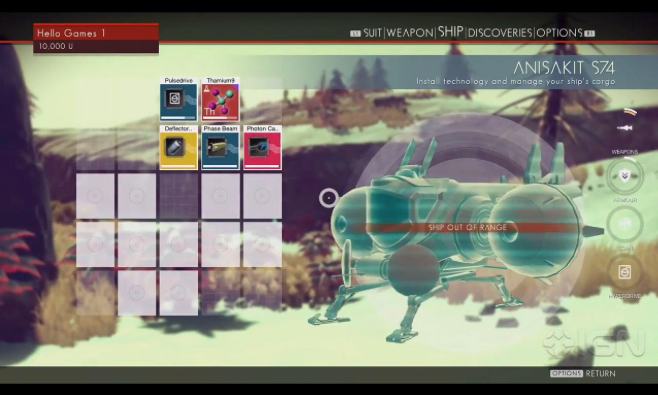 That’s how many individual planets there are in No Man’s Sky. So let’s get down to business. While the PC community chewed its fingers down to the bone waiting for the Steam release on August 12, we’ve joined the legion of PS4 players who are already planet hopping. Here’s our review of No Man’s Sky, and a tour of the emotional roller coaster you’ll be on during the first hour of play. Remember that feeling of giddy excitement and curiosity you had the very first time you played Minecraft? Of course you do. We all do. 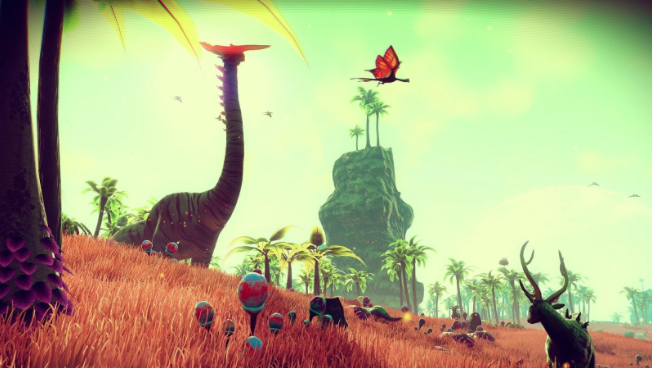 It was one of those seminal moments in gaming for many of us, and we can happily confirm that the first 10 minutes of No Man’s Sky lives up to that exceptional sense of wonder given to us by its predecessor. 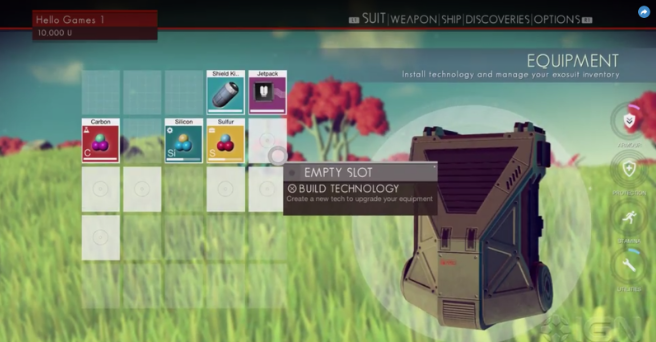 And, like Minecraft, very little is explained to you in No Man’s Sky. You’re stranded in a strange new world, and left to figure things out for yourself. What am I doing? Where am I supposed to go? What’s all this stuff? Am I supposed to collect it? Who knows. Certainly not you. But slowly and surely, you start to put all the pieces together and figure out how to repair your semi-broken ship. You’ll see what’s needed, and begin setting out across your own unique starting planet to gather it all. And that’s when you’ll be hit by the first sense that you’re really, really small. The sheer expanse of the game slowly starts to dawn on you, which comes with a wave of both wonder and terror. Much like staring out at our own Milky Way here in the real world, there’s something a little unsettling about realizing just how miniscule the scale of you and your operations are in context. And just as you get to grips with the enormity of your own world, your mind will creep back to the fact that there are 17,999,999,999,999,999,999 more floating around above your head. … right after you fix this stupid spaceship. The grind is strong with No Man’s Sky, and once the initial wonder has worn off that’s when ennui sets in. (It does start to become obvious that it’s all algorithmically generated after a while). You’ll plod around mindlessly collecting … well, stuff. Will you need the stuff later? Can the stuff be traded? At this stage, it’s a mystery. Despite there being a lot of stuff — some of it living and roaming around — there’s not a whole lot to interact with. And very little interacts with you. One of the problems here is that it’s quite easy, and not a lot threatens or interrupts your endless grind. 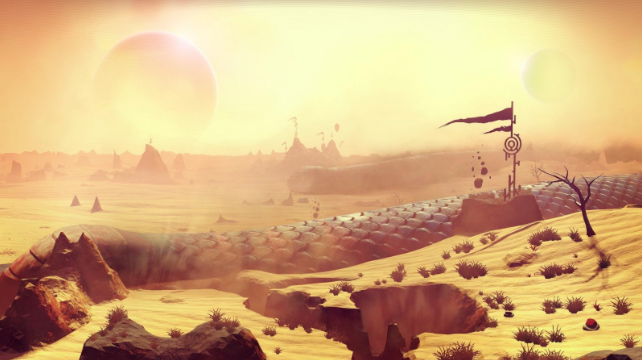 No Man’s Sky is billed as both an exploration and survival game. Unfortunately, in its present state the latter gets in the way of the former. The exploration aspect is hugely enjoyable and very thrilling on a deep level, so it’s somewhat annoying to have all the fun jarringly interrupted by the constant need to top up your carbon or whatever. It gets mundane fast, and never eases up. The exceptionally tiny inventory is also frustrating, and you’ll find yourself grinding to a halt often as you have to spend a few minutes rejigging everything in your quest to get spacebound. That sense of excitement and wonder you felt at the very start of the game? That’s nothing compared to the emotional suckerpunch that hits you when you leave your starting planet for the first time. The sense of scale really is every bit as awesome, in the truest sense of the word, as has been hyped for all these months. It’s an unprecedented marvel, and to think that it was achieved by an indie game design team of just 10 people is nothing short of staggering. 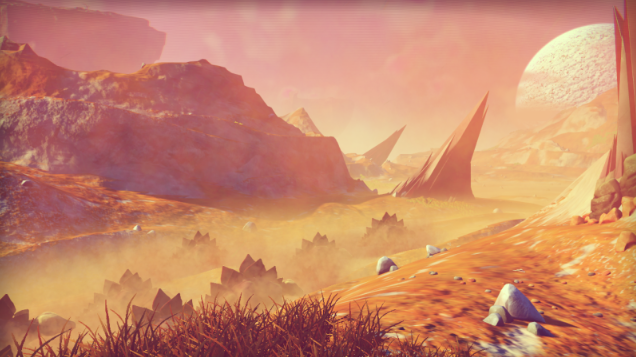 It may not be living up to the hype right now — and really, how could anything live up to the hype that has surrounded No Man’s Sky? — but there’s a real sense that the excitement for the very idea and potential of this game is justified. Typical first-day bugs abound. There’s a lot of room for improvement, and at times it feels more like a tech demo than an actual game. A better balance (and more variance) in gameplay elements is needed, and perhaps slightly more structure would help. But as you first break through the atmosphere and experience first-hand the scale and beauty of No Man’s Sky, you’ll smile to yourself. This is probably going to change everything. Have you had the chance to play it yet, or had you eagerly awaited August 12 for the PC launch? Do you agree that it’s a game changer, or see it as simply a weak Minecraft-in-space? Share your thoughts in the comments below. See you at the center of the galaxy!